Initially I had been put off buying this book by the feedback received on Amazon. I then came across a rather "dog eared" copy in a book store and started to browse. I was immediately hit by the publishing quality and the excellent printing. I started to skim a few of the chapters and found it very engaging, so much so that I bought a copy (from Amazon as I wanted a new book). The book was a relatively quick and easy read and I thoroughly enjoyed every page. The text was engaging and provided an insight into a great photographer at work. It made a very nice change to the usual technique over substance books you tend to find. This is a very unique approach and should be applauded. The photography is good as you would expect but it was nice to see the evolution of the photography over the course of the book. I particularly enjoyed the images shot with the compact LX3 and how the advantages of this tiny camera were used to the maximum (but I would enjoy that, being The Lightweight Photographer). I suspect many of those giving this book a poor review were expecting something very different and as a result failed to recognise the excellence in its pages. 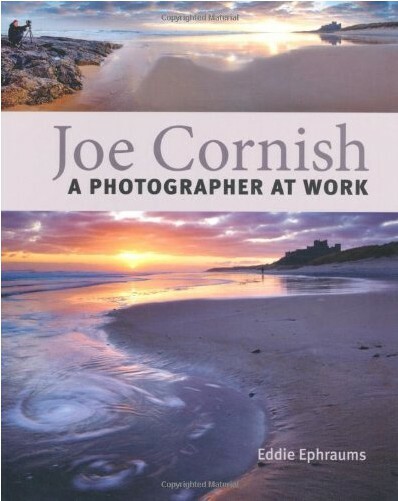 Joe Cornish is a wonderful and accomplished Landscape Photographer. This book gives a rather unique insight into how he approaches his work rather than a guide to his techniques.